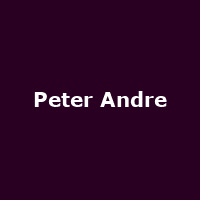 Peter Andre has just added five new dates to his 2010 Revelation Tour, which now sees him play the Portsmouth Guildhall on 23rd March, Wolverhampton's Civic Hall on 1st April, the Bournemouth International Centre on 2nd, London's Hammersmith Apollo on 3rd and Nottingham's Royal Concert hall on 4th April. Tickets for the tour are on sale now, starting at £24. A number of the earlier dates announced last month have already sold-out (Ipswich, Bournemouth Pavillion and London's IndigO2).